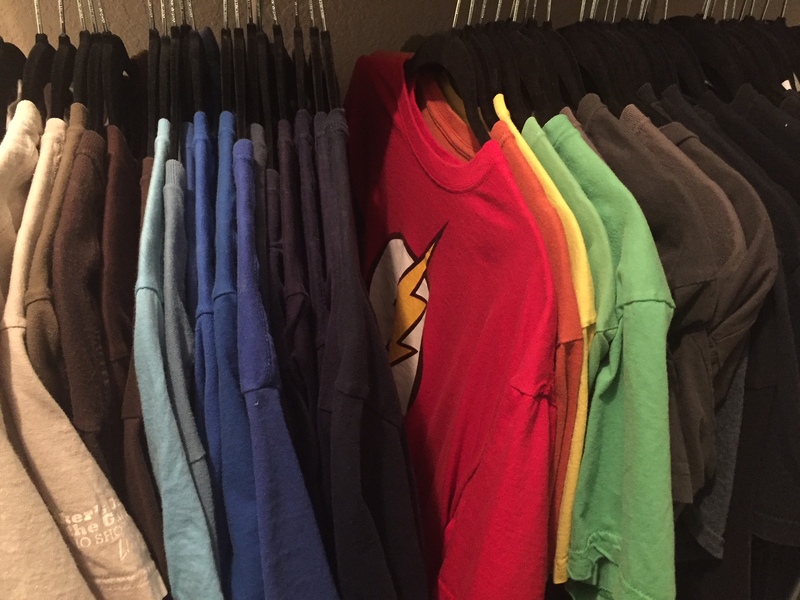 A silly post about my t-shirts. – Sunshine. Whimsy. Tacos. I only ever have a handful of t-shirts at any given time – I think I have maybe 13 total in my closet right now, including tank tops! I’d say about 75% of my shirts are gray, and the other 25% are either black, blue, or sage green. It’s possible I need to expand my wardrobe! Are your t-shirts plain? Or with designs and whatnot? A few are plain but most have designs of some kind. My favorite is a white shirt that has Deadpool astride a flying taco! Lots of my shirts have grey in any variation – usually with a design, some of them “meaningful” (i. e. souvenir-shirts), some not.